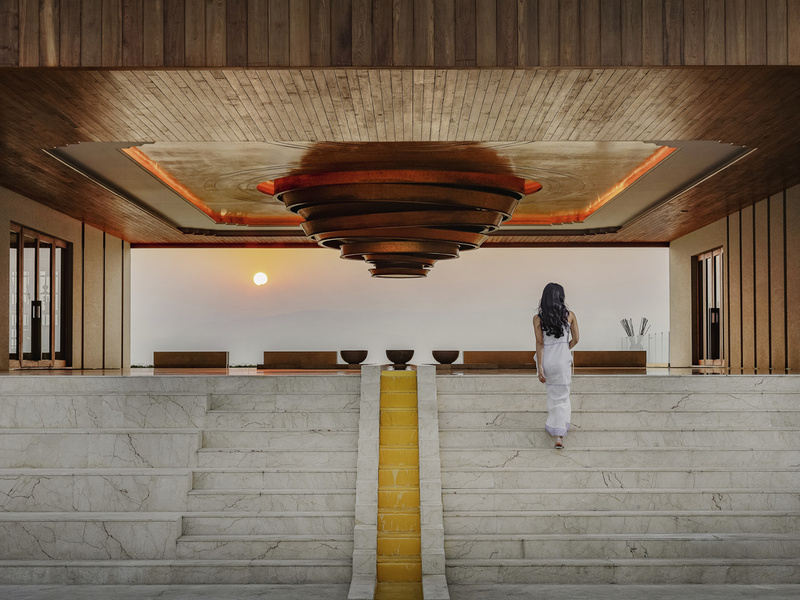 The 101 suite Sofitel Inle Lake Myat Min is a luxury boutique resort ideally located on the shore of picturesque Inle lake, built between 20 acres of rice fields and floating gardens. It features authentic Myanmar style and the latest technology. The resort has 2 restaurants, 2 bars, fitness and wellness center as well as 2 swimming pools. Perfect for couples and travellers. Myanmar is a truly fascinating and unique destination with the spirituality of Buddhism beliefs, charming people, abundant natural resources and rich, unspoilt landscape. Each contemporary and spacious suite features a large terrace, rain shower, free WIFI access, bluetooth speaker system and overlooks the lake or mountain. Our Suite features a large terrace, bathroom with bathtub, oversized rainshower, unique beds for an exquisite comfort as well as specially designed amenities and linen. The organic fine dining restaurant offers fusion and Burmese flavoured dishes. Plates are patterned in concentric circles, inspired by the Shan State motif. The outdoor dining space allows guests views of the clear lake water. The All Day Dining restaurant offers an extensive selection of international and local cuisine. Buffet and à la carte options are available for lunch and dinner. Located near the lobby, the bar offers a wide selection of international beverages and wines. The perfect place to relax and enjoy exceptional views.